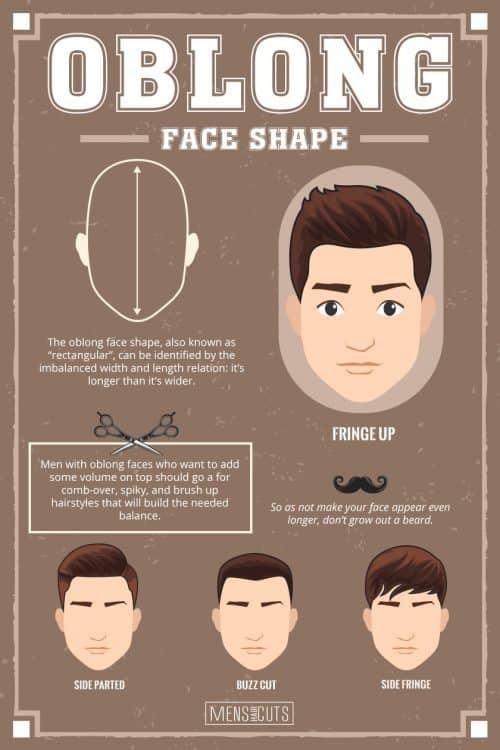 Choosing your haircut can be a really tricky task without knowing what suits your face shape best. Thus, it is crucial to know what different face shapes there are and what hairstyles go with them. Depending on this information, you will be able to enhance your “good” features while concealing the “bad” ones. Find the most flattering haircut for your face shape with our recommendations! Have you ever noticed how tightly the haircut you have is connected to the impression you make? You may be the greatest guy in the world or the employee of the year, but with the wrong cut, nobody will notice it. The situation might remind you of the one with clothes, you know, clothes speak for men. However, things with hair are much more serious than with clothes, you can’t take it off whenever you like. 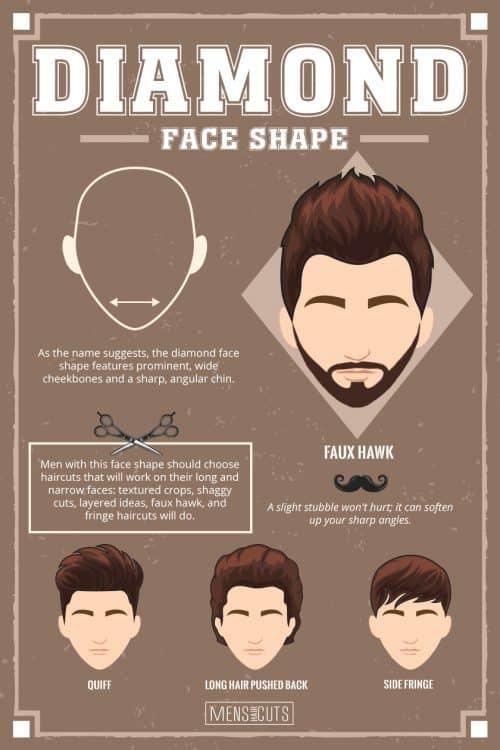 We don’t want you to get into a hobble, thus prepared a comprehensive guide on the perfect way of matching the haircut to your face shape. Comb your hair back to see your face clearly. Examine your face outline in the mirror reflection. Run the contour of your face on the mirror using the soap. Use the trace on the mirror to help you address the question “What’s my face shape?” by comparing it to the different shapes of head. If you still can’t answer this question because you don’t know what types of face shapes there are, we suggest you familiarize yourself with the most common ones. So, there are several standard face types: oval, square, round, diamond, triangle and oblong. If you want to know what each of these different face shapes means, just keep on reading. The oval face can be considered a lengthened variation of the round face. The features of the cheeks, forehead and chin are soft without any noticeable sharp edges. The face exceeds the cheekbones in length, and the forehead, in turn, exceeds the jaw in width. If you don’t want to put emphasis on your curves, avoid cropped haircuts with bangs and fringes because you want to give your top hair some volume and length. Although it sometimes seems like the oval face shape lacks masculinity, it gives you tons of opportunities for conducting experiments. For the oval shaped face, opt for the long on top and short on the sides haircuts, because they will make your face look longer and more balanced. To even out the round lines your face has, go with a slick back, undercut or the comb over with a fade. 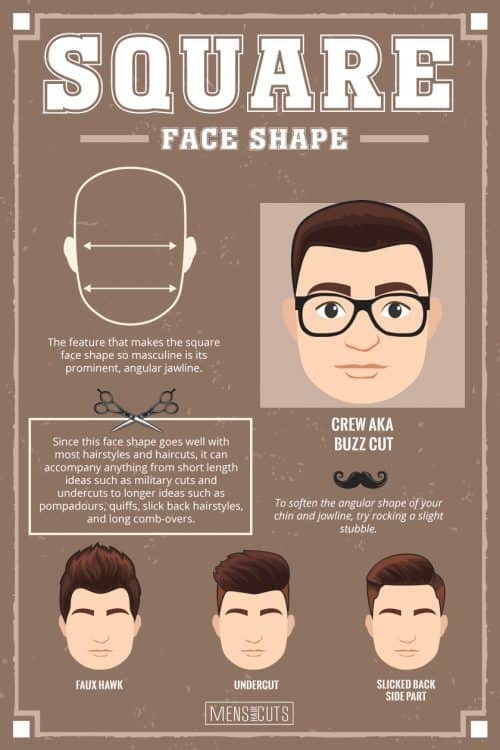 Also, you can try out the pomp, quiff, faux hawk or any voluminous hairstyle that’s short or medium in length. A beard will also add to the style, although it isn’t the most essential element. 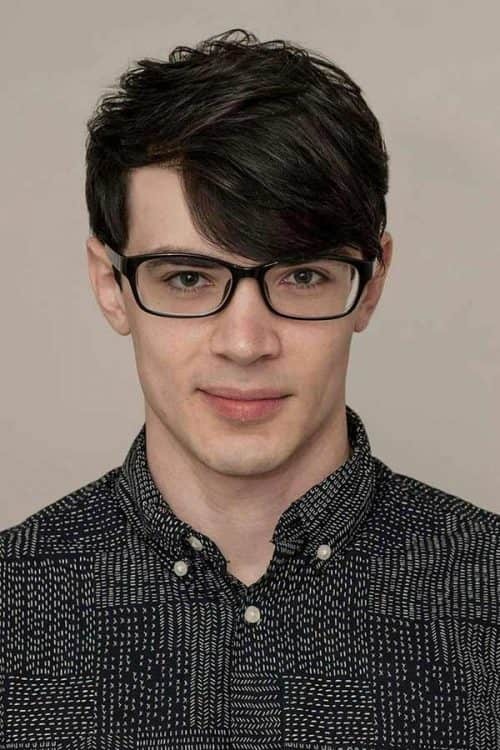 Now, this is a manly face shape. 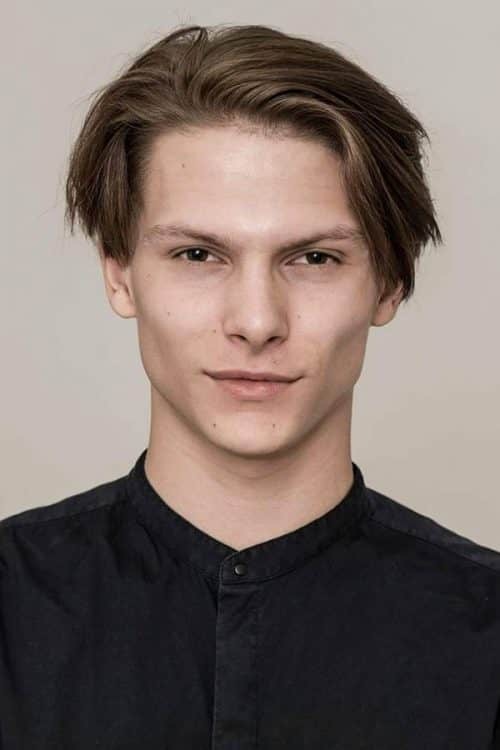 Guys with the square face shape have wide edgy jaws and high cheekbones. To make your symmetrical face features even more appealing, cut your sideburns short and make your fade high. 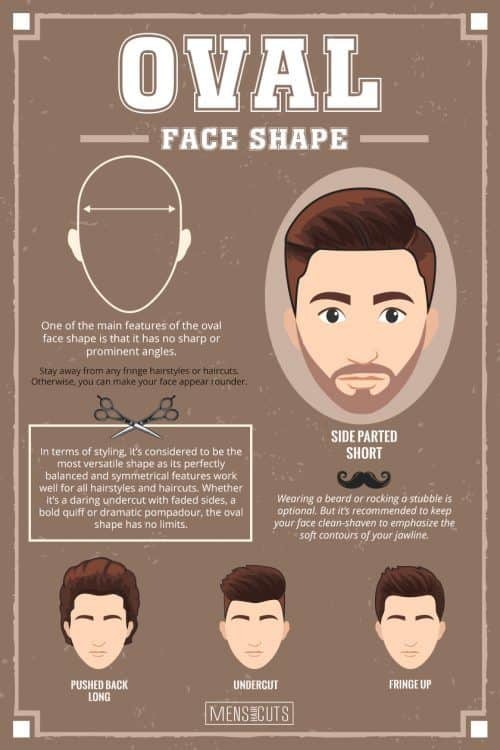 To get the most out of your square face, choose the hairstyles that will make it a bit longer and narrower, like an undercut or a high skin fade. Avoid adding more thickness to your sides. As for the length, choose short to medium one. To give you some ideas on the haircuts for the square shaped face, we came up with the following options. The pomp will make the sharp lines of the face softer thanks to its natural textured look. The traditional side part will, on the contrary, enhance the strength of your jaw and cheekbones while keeping the look neat and clean with a vintage air. Also, you can try out rather short, like the buzz or crew cut, or a little longer, like a comb over, a quiff or a slick back, haircuts. Ensure though that you pair them with a side undercut or fade. As a fun accessory, you can consider growing out a long beard. The round face shape has a lot of things in common with the square face shape, except for the edgy lines and angles. 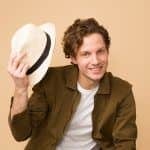 The round face has an equal dimension in length and width, thus you’ll want to make it look slightly longer for added masculinity and sharpness. This can be achieved with short sides and back and voluminous top. In addition, regard asymmetrical hairstyles, like a comb over or a fringe swept to the side. To give your round face a more masculine look, go with spikes or a faux hawk on top while keeping your sides and back short. This will put more emphasis on the cheekbones and jawline. Besides, you can opt for the French crop, slick back undercut, pomp, quiff or comb over. Basically, any hairstyle with a side part or fringe will work great on you. The diamond face shape is characterized by wide high cheekbones and a spiky chin. It’s quite sharp and long. This face shape can be complemented with hairstyles of different lengths, from short to long. If you want to soften up your edgy jawline, you’re welcome to harness a beard. Actually, you can grow out both, your head and facial hair, it won’t hurt at all. For the diamond shaped face, it’s best to sport hairstyles with a lot of volume and fullness. You can make your jawline look softer while cheekbones stand out with a disheveled fringe. Moreover, comb over fade, brush up, faux hawk and long slicked back will look as good on you as any other hairstyle that has some texture. However, note that visually slimming your hair is undesirable, thus don’t go with a skin fade or undercut. Instead, choose a scissor cut or taper fade. Another gem of geometrically defined men face shapes is the triangle face. The jawline exceeding the temple area and cheekbones in width is inherent in this face shape, which makes your appearance look edgy and angular. 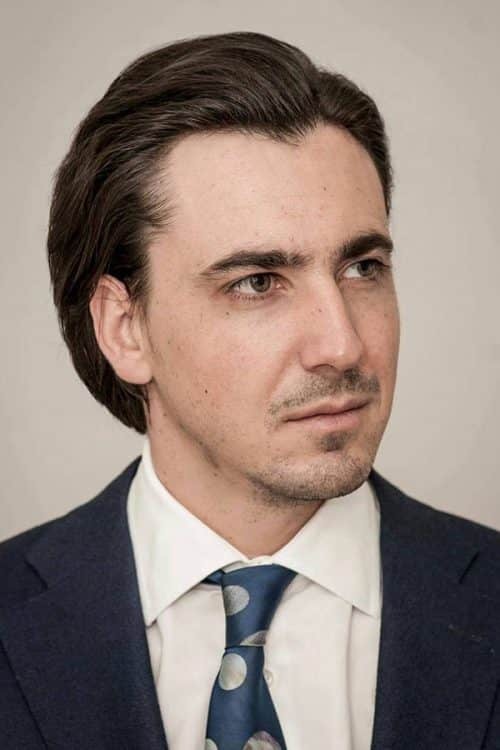 With this shape, you want to even out the massive chin and make the forehead seem thicker. 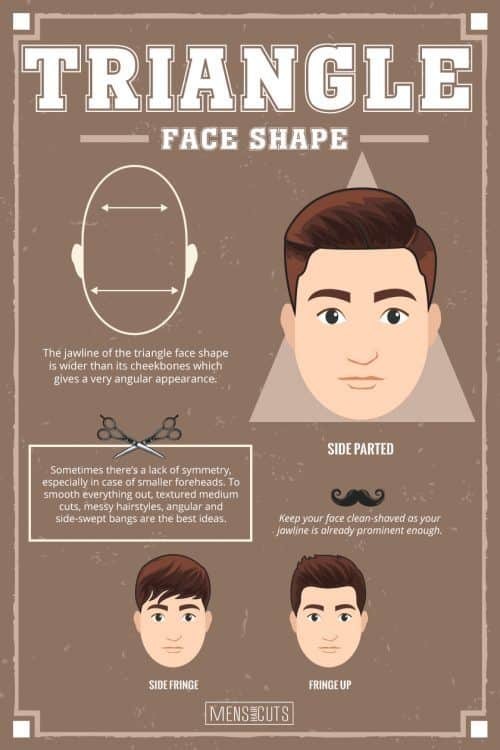 The triangle man face will benefit from the hairstyles that are short on the sides and long on top. To widen the temple area, choose tapered and low fade cuts. The perfect hairstyles for such a face shape are comb over, quiff, short pomp and the ones that include an angular fringe and side part. The oblong face shape is often referred to as rectangular because it looks like a lengthened variation of the square face. The fun fact about the oblong shape is that you don’t need to balance it out as it’s already balanced by its even proportions. What’s remarkable about it is that its length exceeds its width greatly. 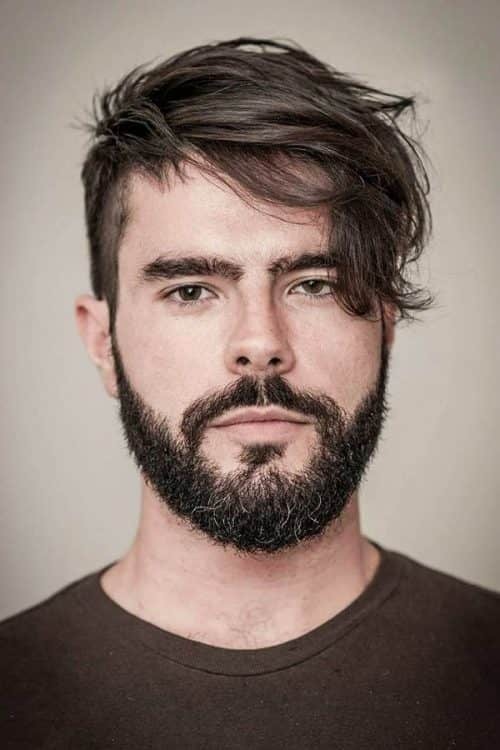 If you have an oblong face, don’t get the hairstyles that make it even longer and avoid much volume on top and long beards. 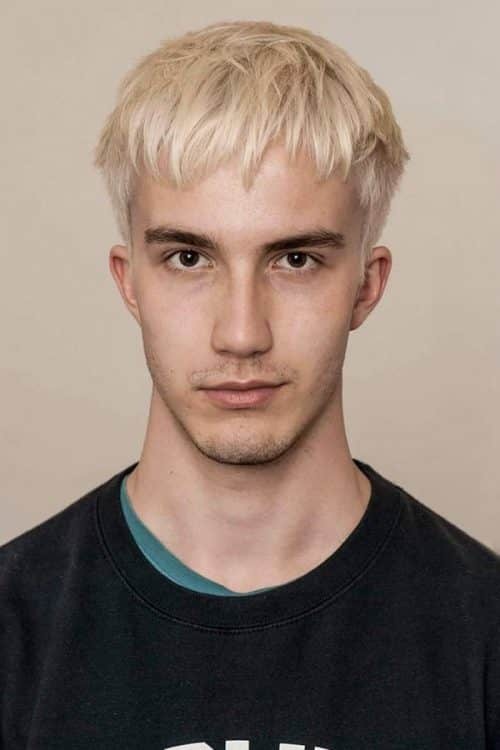 In case you want to shorten your long face a bit, think about getting a textured French crop or any hairstyle with a comb over, slicked back or side part. 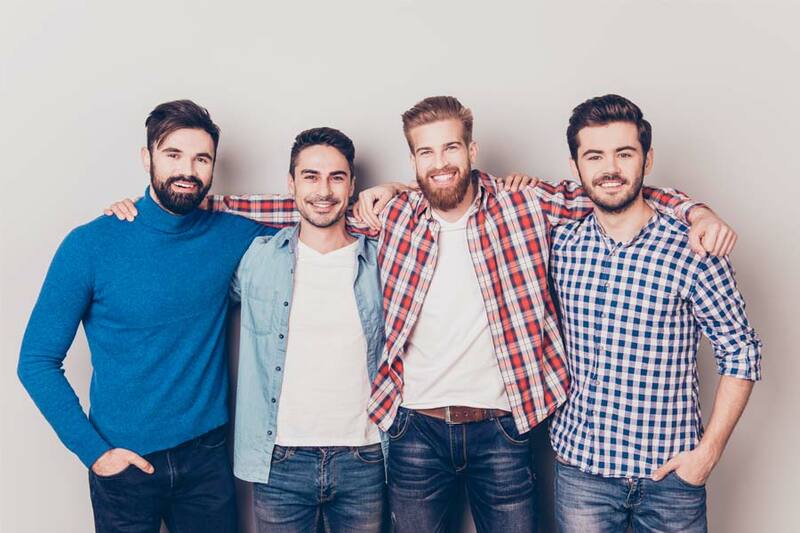 If you’re after a really easy-to-maintain haircut, a buzz or crew cut will be the best choice. The same applies to your facial hair. Stick to a short beard or dense stubble, not more. 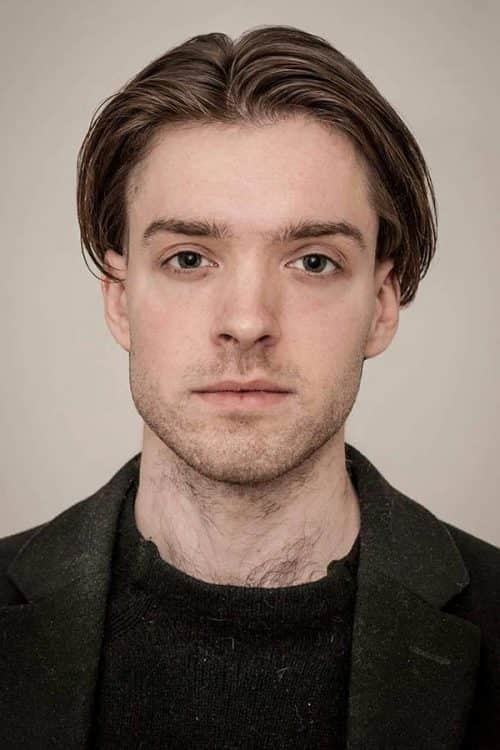 At the end of the day, all face shapes men have are unique, thus you’re welcome to experiment with your hairstyle as much as you like. 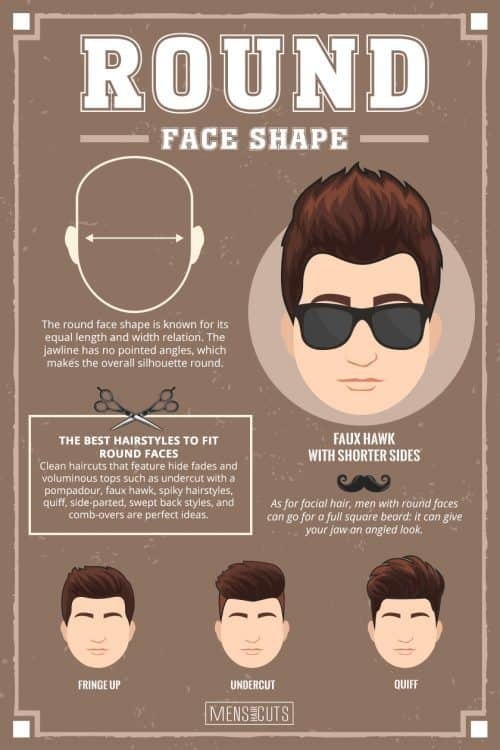 Though, keeping in mind our recommendations will help you to get the most out of your face shape. And, of course, if you’re in doubt, you can always ask your barber for the professional advice.